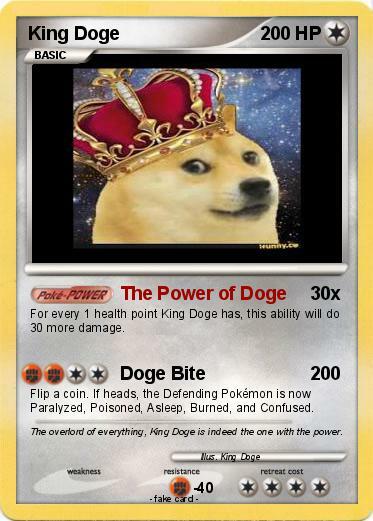 For every 1 health point King Doge has, this ability will do 30 more damage. Flip a coin. If heads, the Defending Pokémon is now Paralyzed, Poisoned, Asleep, Burned, and Confused. Comments : The overlord of everything, King Doge is indeed the one with the power.